embed videos within active learning by integrating interactive elements, assignments, questions, etc. There are many benefits to using video in education as shown over several decades of research, including increased student motivation, enhanced learning experience, higher marks, development potential for deeper learning, development of learner autonomy, enhanced team working and communication skills. In his blogpost “10 ways video can be used effectively in teaching and learning” Jon Walmsley, Senior Media Advisor at the University of Derby, provides some inspiring but effective examples of how teachers and content developers can easily use video. The University of Maastricht offers a comprehensive video portal for teachers who want to use video in their teaching practice. There are many options for searching, watching and sharing video online, such as YouTube and Vimeo. Both platforms allow embedding of video in web sites or learning environments. YouTube was created in 2005 as a website for users to share original video content. Since then it has become a repository for video, film, animation, art, and advertising. YouTube provides its users with two licensing options for content uploaded to its site. The first is a Standard YouTube licence which allows for the embedding and sharing of YouTube video on other websites using the YouTube platform. The second is a Creative Commons CC BY Attribution licence allowing anyone to re-purpose and re-use the video so long as attribution is provided to the creator of the video. Vimeo was founded in 2004, and in 2007 became the first video sharing site to support high-definition video. Vimeo videos can also be re-shared and embedded within other websites by using the Vimeo platform. However, Vimeo also offers the full suite of Creative Commons and Public Domain licensing options. For this reason, the platform is often preferred by artists and film creators. Vimeo furthermore offers videomakers more control over where and how videos can be accessed. On University of Maastricht’s video portal you can find more than 20 different video formats that support teaching and learning. All examples can be created more or less with effort only by the teachers themselves, mostly without complex or expensive hardware and with little or no expert knowledge or skills. The simplest format for you to start with is the Webcam Capture. Your task is to create this type of video giving a very short summary of what you have learned about the use of video for teaching. 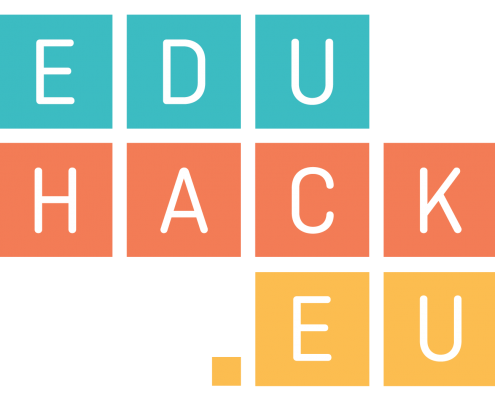 Post the video on your own blog or the EduHack Wall, or use YouTube or Vimeo to host your video. Read more about this topic in this guide for Effective educational videos. “What Gutenberg did for writing, online video can now do for face-to-face communication.” – watch Chris Anderson’s Ted Talk on “How web video powers global innovation“. Read this post by BBC: Education videos: Ten ways to use them well. Read The Art of Educational videos by Macquarie University for the breadth of approaches to making effective videos. Read about the CARS checklist (Credibility, Accuracy, Reasonableness, Support) for online source evaluation. In his research paper Philip J. Guo describes how simple guidelines, such as duration and style of delivery, can improve the design and production of online educational video in such a way that student engagement is positively affected.